Another day, another winning collaboration for Preserve. 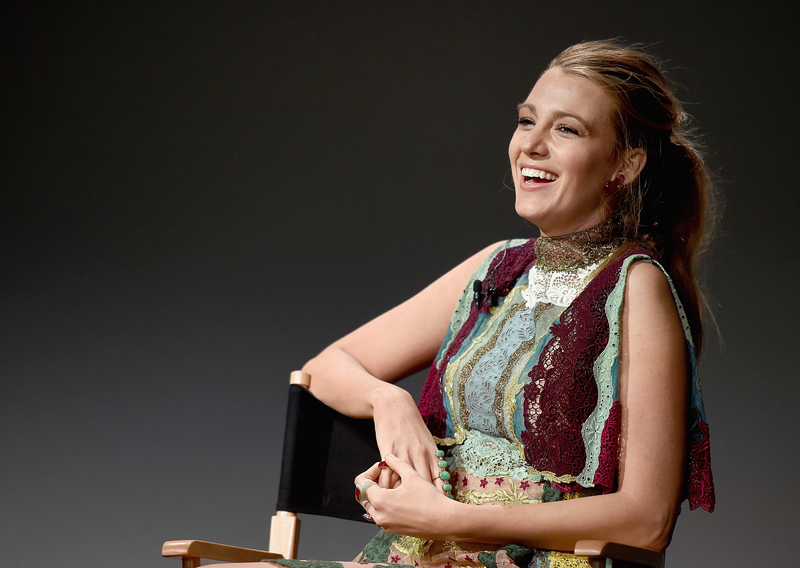 Blake Lively showed off another dress she designed for her own clothing line to be sold on the lifestyle website. The actress took to social media to show off what she calls her favorite piece, a colorful dress that she created in collaboration with another designer. The high-slitted floral print dress that she designed with Lindsey Thornburg has arrived just in time for summer. According to the site, Thornburg gets inspiration from the environment, which makes perfect sense when you take a look at the vintage-y floral pattern. With its tropical feel and v-neck shape, the Tie Front Clark Dress is perfect for any summer festivity. The knot in the front is the perfect mesh between a crop top and a bikini, with the tie in the back lending a classic feel. Between the high slit and the exposed midriff, the '60s inspired dress is flashy in all the right ways. Lively clearly couldn't choose which shoe to outfit the look with, but my money is on pink (or maybe she went the mix-and-match route). She shows in her Instagram post just how simple it is to pull of this simple summer dress. Check it out below.